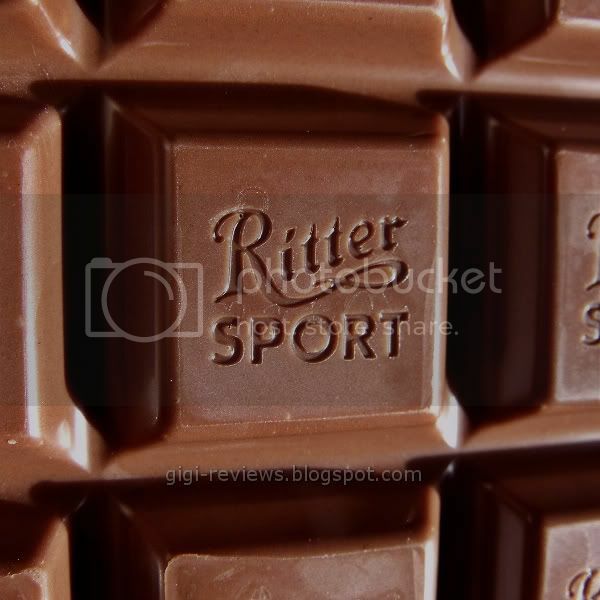 It's been a while since my last Ritter Sport review, and I had this bar calling to me from my kitchen. I've ended up being a fan of all of the joghurt (yogurt) bars in the Ritter line I have had so far. 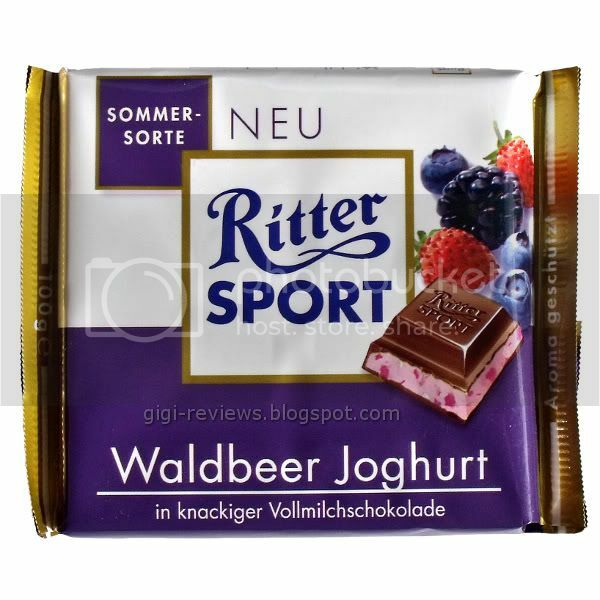 So I had high hopes for the Waldbeer Joghurt bar. All the verbiage on the wrapper was in German, but the picture showed the wild berries were a mix of blueberry, blackberry, and strawberry. Not only are the flavors there, but there are also little bits of dried fruit mixed into the filling. 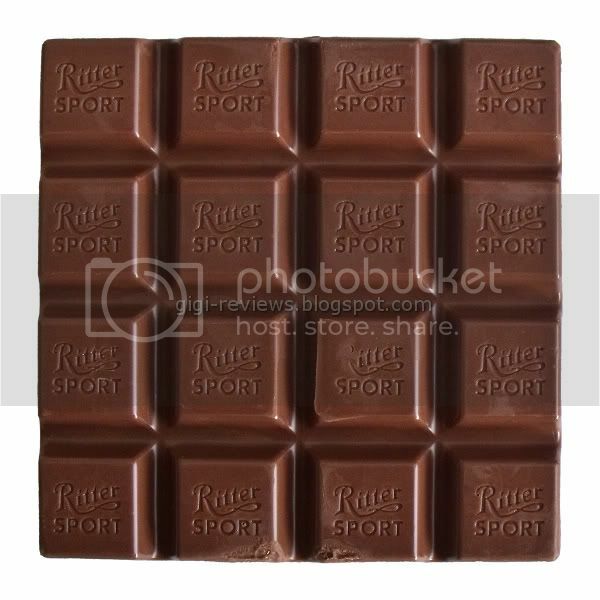 There is also crispy rice, all contained in a neat little milk chocolate square. The center filling has a pleasant tang to it. I wouldn't pin it down as yogurt if I didn't know what it is -- but I liked it because it kept the bar from being too sweet. The berry flavor is good, but it's just sort of a generic berry. I can't say that any one of the berries stood out any stronger than the others. It's certainly not bad. There's just nothing about it that made me go, "hmmmmmmmm, blueberry!" The dried bits of fruit and the rice crisps added a nice bit of crunchy texture. The fruit bits seemed to be almost entirely strawberry. The milk chocolate was smooth and creamy. The melt is fantastic and rich. 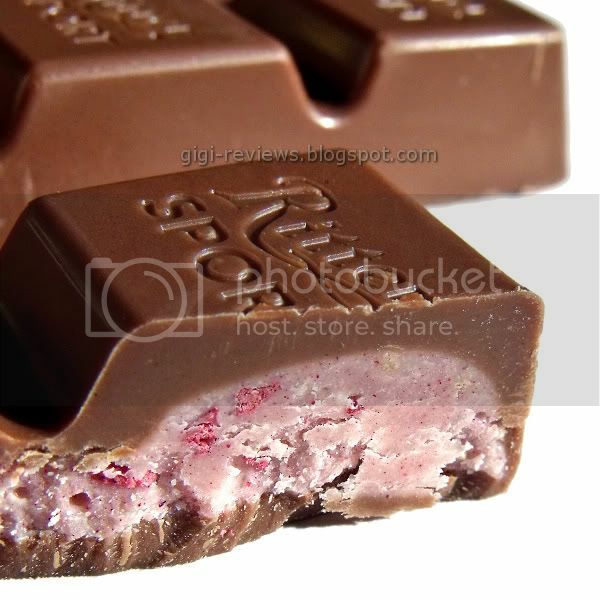 There is the perfect ratio of chocolate to the filling, so that you get a good mixture of the two tastes. This was a really tasty little bar! Jim thought so too, so be sure to check out his review here.